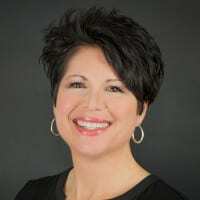 The following is a guest blog post by Sunnie Southern, MS, RD, LD, Health And Life Sciences Lead at Onix. 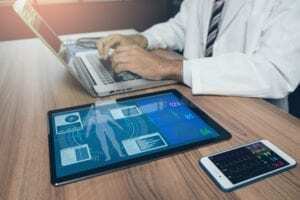 A recent study by HIMSS Analytics showed that 65 percent of healthcare organizations have deployed cloud infrastructure and/or cloud services, with Software as a Service (Saas) and Infrastructure as a Service (Iaas) leading the way in cloud adoption. Properly implemented, cloud-based solutions offer health and life sciences organizations unprecedented opportunities to innovate and gain insights from massive data sets while still maintaining privacy, security and compliance. This is due to the fact that major cloud providers like Google Cloud and AWS offer HIPAA compliance and a level of security that most organizations are not willing or able to invest in, including technical expertise, physical security, business processes, data governance and technology monitoring. In our experience working with hundreds of health and life sciences organizations, including many of the world’s top genomics and research computing researchers, we have identified five key focus areas for creating an effective roadmap to the cloud. Creating a robust and well-defined cloud strategy is vital. It enables organizations to meet business objectives, improve clinical outcomes and accelerate research discoveries while still focusing on privacy, security and compliance. Ensuring that key decision-makers have a clear understanding of the value of cloud computing is important for organizational cloud adoption. An effective cloud strategy involves more than just moving data from on-premise to the cloud. Public cloud infrastructure and services offer features and functionality beyond what many on-premise or private cloud solutions can provide. Developing and/or refining standard operating security procedures and hardening security measures for the cloud support widespread organizational cloud adoption and the use of crucial data. Appropriate security measures unlock the potential of data in ways like never before. Managing costs for cloud infrastructure and services requires a new approach to budgeting and management. This includes transitioning from capital expenses for on-premise hardware to operational expenses, freeing up resources from managing hardware to maximizing data to drive business insights. Organizations need the right talent from both employed resources and experienced partners. There’s a need for seasoned systems engineers with deep knowledge of the cloud’s native services and tooling. DevOps professionals are also important for managing configurations, infrastructure, software deployment and integration. Now that we have shared our key learnings with you, we want to understand the biggest opportunities and challenges you face on your journey to the cloud. Please share your perspective by completing a brief survey. As an expression of our appreciation, you will be entered into a drawing for a Google Slate Tablet if you provide contact details. We will also share the survey results once complete.